You Be Brady. I'll Be Belichick. Clearly, you drew the best card in this role play. I mean, really, Tom Brady?! Super star of all-that-is-NFL? A superhero in cleats, red cape not required. It is hard to imagine why someone known to make split second decisions under intense pressure would even need a Coach. The Patriot's Gillette stadium would probably still sell out if Tom Brady was the only one on the field, running back and forth, but really, it just wouldn't be the same game. It's a team sport. In addition to a signature hoodie, Coach Belichick brings to the field a wide-screen full perspective and wisdom. Belichick's purpose is to see Brady and the team win. Just like my purpose is to bring out the best YOU to ever stride across a stage. You're the star. But presenting is a team sport. As an educator-entrepreneur with a burning message to better the world, it may often feel like you are the quarterback, cheerleader and peanut vendor on any given day. Start to build your team. Each player who joins your team will strengthen your delivery. I will be your coach with clipboard and headset... and possibly one of your greatest cheerleaders. Your presentation is just one piece of the game. There is pre-game, behind-the-scenes, post game, and Monday morning review. And yes, the more films you watch of your plays, the more you excel. You can shoulder all of this one your own as little trial by error is fun but time-consuming. Or, you can focus on what you do best and Coach Kristi can guide you through the rest. Legend has it that Tom was selected by the New England Patriots with the 199th overall pick in 2000. In the sixth round. Can you imagine being passed over in a process like that? No. No. No. No. No.... But then some lucky son-of-a-gun believed in Tom and #historywasmade. Here is the deal: I WANT you to win. I NEED you to rise above, be your best. Be the MVP. I believe in you. You will never read another sports analogy HERE. Don't tell my fellow New Englanders this as I could be tarred and feathered but: I am not a sports fan. Then again, GMO's or BPA may not be your thing. Or carving out a speech may not provide the same mental high as it does for me. 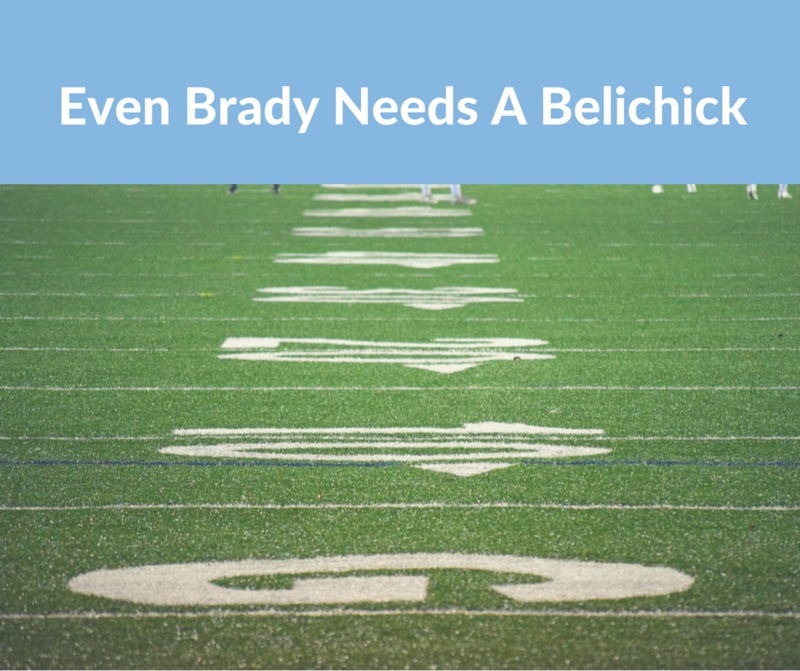 But many of my clients are in New England and Brady-speak is a common language. Even to a non-sports gal like me. To rally your audience to a standing ovation, first find the language they speak. TIP #1: You are in charge of establishing that common playing field. NOODLER: How Would You handle this? Imagine, you are asked to speak at an upcoming Chamber of Commerce Annual Dinner. The audience will be 70% men, 30% women. Nearly all of them are hard-working, local small business owners. They represent dry cleaners, fast food, industrial parks and grocery stores as well as banks and nail salons. The core of your existing message is about __________. How do you adjust your core presentation to this group? What would the goal of the evening be for you? For them? There isn't a RIGHT answer. Just your answer. Talk to me, what would you do?